Dr. Gagan Mohan Khanduri is Associate Professor & Director Academics in the Department of Electronics at the Aryabhatta College of Engineering and Research Centre (RTU). He received his Ph.D. Degree in Microelectronics from IIT Delhi in 2007. He did his M. Tech. in Solid State Materials (Gold Medalist’ 1999) from Physics Department, IIT Delhi. He has worked as Senior Research Fellow, Research Associate, and Senior Scientist at Electrical Engineering Department and Centre for Applied Research in Electronics at IIT Delhi. He is having 14+ Years of Experience in the field of Simulation and Modeling of Solid State Devices. His Area of Expertise includes: SiGe HBTs, CMOS Image Sensors, and Optimization Techniques. He is NET /GATE qualified in Physics and author of many papers published in International/National Journals/Conferences. Dr. Kishor Prabhakar Sarawadekar received the B.E. degree in electronics engineering from Shivaji University, Kolhapur, in 1996 and the M. Tech. and Ph. D. degree in Microelectronics and VLSI design from the Indian Institute of Technology, Kharagpur, in 2007 and2011, respectively. Recently he has joined as an Assistant Professor in the Department of Electronics Engineering at Indian Institute of Technology (IIT-BHU), Varanasi. Prior to this, he has worked an Assistant Professor in Defense Institute of Advanced Technology, Pune and as a Hardware Engineer in Xilinx India Technology Services Pvt. Ltd., Hyderabad. His research interests include algorithm and architecture for image/video processing, image coding system JPEG 2000, bio-medical image processing, and related VLSI designs. He has about five years of industrial experience and about nine years of teaching experience. 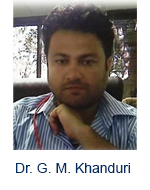 He has been reviewer for the IEEE Transactions on Circuits and Systems for Video Technology, Journal of Real Time Image Processing, Journal of Electrical and Computer Engineering etc. 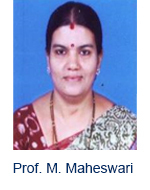 Prof. M. Maheswari is a Professor Head of the Department of Electronics and Communication Engineering at J.J. College of Engineering and Technology, Tiruchirappalli, Tamil Nadu, India. She received her M.Tech degree in VLSI System from National Institute of Technology, Tiruchirappalli, Tamil Nadu, India in the year 2004. She has been working in J.J. College of Engineering and Technology as a for 11 Years. Currently she is doing Ph. D from Anna University, Chennai. She is having more than 16 Years of Experience in the field of Teaching. Her Area of Expertise includes Design of FPGA based system, Error control coding in Network on chip, Embedded based system design. She has published more than 20 papers in International conferences and Journals including two SCI Journals (Elsevier and Springer). School of Electronics and Electrical Engineering, Sungkyunkwan University,Korea, Republic Of Korea. Department of Electronics and Communication Engineering National Institute of Technology Kurukshetra, India.